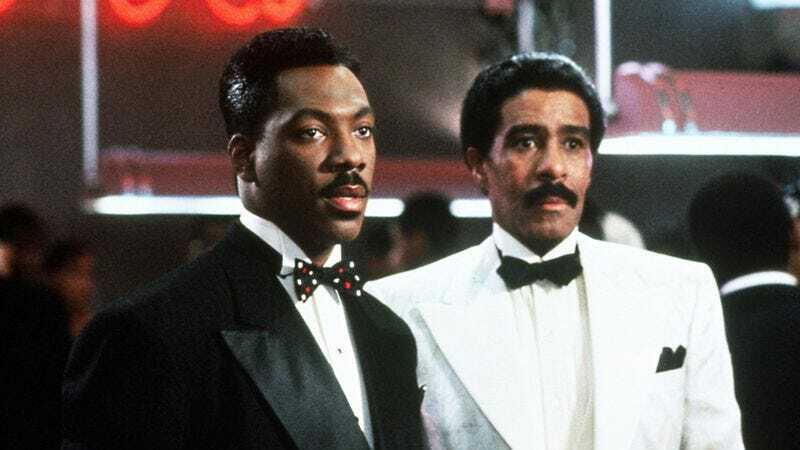 Entertainment Tonight is reporting that Eddie Murphy is in talks for a role in Lee Daniels’ upcoming, as-yet-untitled Richard Pryor biopic. Murphy, who was set to play Pryor in an earlier iteration of the project, will play the legendary stand-up’s father, LeRoy Pryor. Mike Epps, himself a veteran of unmade Richard Pryor biopics, will play the lead role. The history of Richard Pryor biopics, which have been in one form of development or another for the past 20 years, is notoriously long and messy, full of unproduced scripts and stalled pre-productions and often complicated by the combative relationships between Pryor’s widow, Jennifer Lee Pryor, and the actors and comedians who’ve been cast to play her husband. Over the past two decades, Damon Wayans, Chris Rock, Marlon Wayans, Murphy, and Epps—first cast as Pryor in the mid-2000s, in a version that would have been directed by Walter Hill—have been set to star in different iterations of the project. Bill Condon spent several years working on Richard Pryor: Is It Something I Said?, initially with Murphy, then fresh off a Best Supporting Oscar nomination for Condon’s Dreamgirls, and primed for a comeback that never came, as Pryor. It’s worth noting that Jennifer Lee Pryor, who manages her late husband’s estate, has been vocal about her personal dislike of Murphy, and that the first version of the biopic with Epps—on which Hill was replaced by then-up-and-coming Kasi Lemmons—fell through when she and Epps had a public falling out over his relationship with her stepchildren, who were then suing for control of their late father’s estate. At present, the two appear to have reconciled. Yesterday, Daniels posted a picture of himself with Murphy on Instagram.